Michel Hazanavicius's playful tribute to the Swiss filmmaker comes to UK cinemas in May. 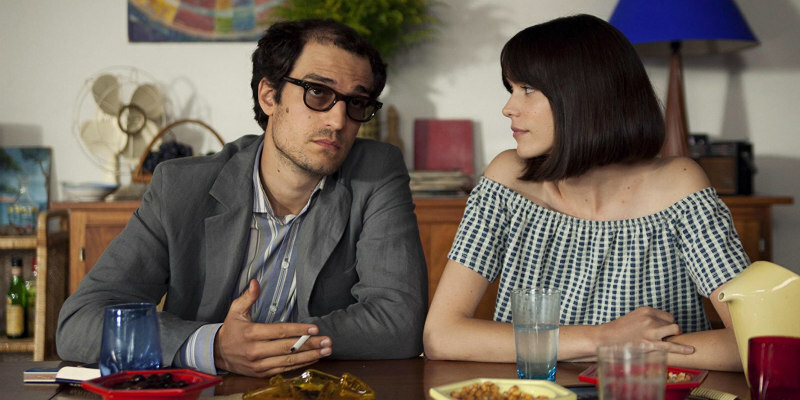 Michel Hazanavicius's Redoubtable is a hilarious look at the struggles of filmmaker Jean Luc-Godard to remain relevant in the face of a newly politicised world in the late 1960s. Louis Garrel stars as the Swiss filmmaker with Stacy Martin as his long suffering lover Anne Wiazemsky. Redoubtable opens in UK cinemas May 11th. In 1960’s Paris, Jean-Luc Godard (Louis Garrel, The Dreamers) is the leading filmmaker of his generation. He’s shooting La Chinoise with the woman he loves, Anne Wiazemsky (Stacy Martin, Nymphomaniac Vols I and II), 20 years his junior. They are happy, attractive, in love. They marry. But the film’s reception unleashes a profound self-examination in Jean-Luc. The events of May ’68 will amplify this process, and the crisis that shakes the filmmaker.